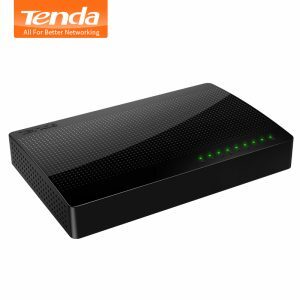 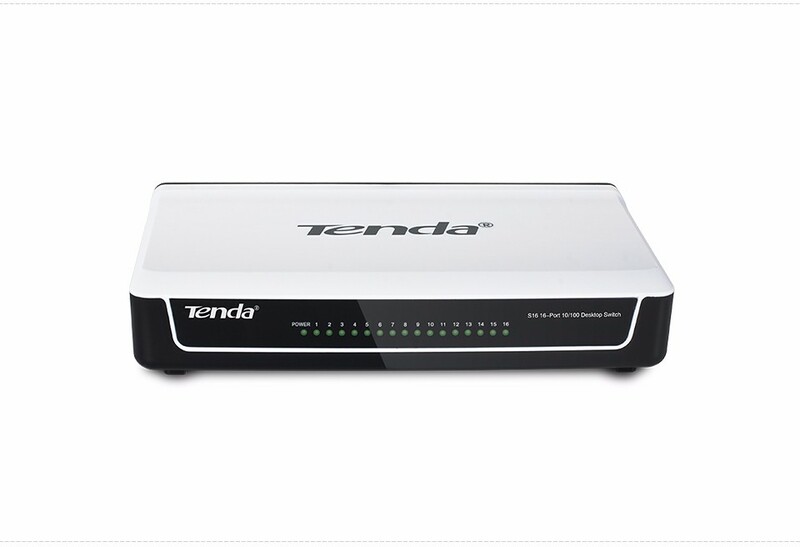 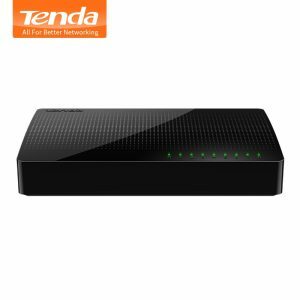 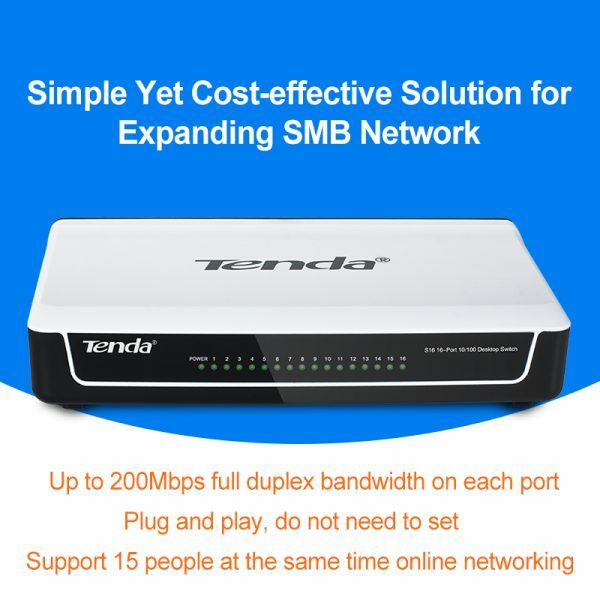 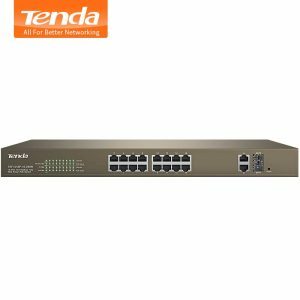 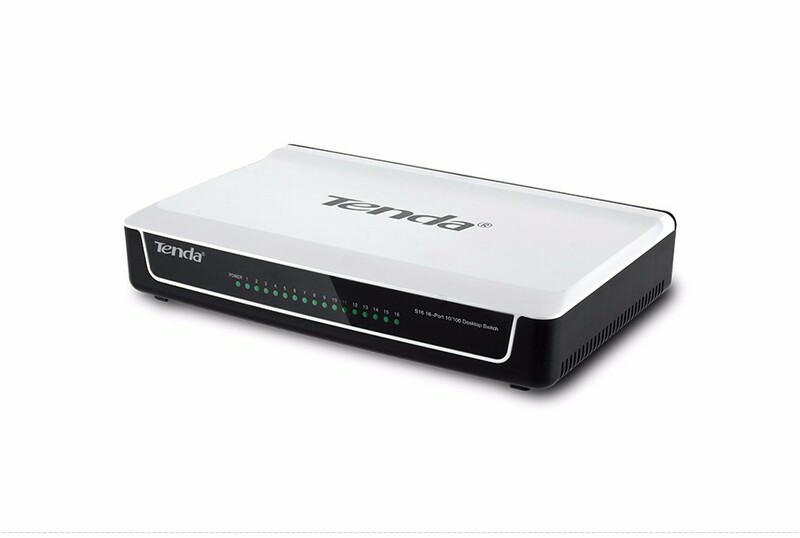 Buy Tenda S16 16-Port Desktop Ethernet Switch, 10/100Mbps Auto-Negotiation RJ45 Ports, Auto MDI/MDIX, 200Mbps Full Duplex Bandwidth - In Stock Ships Today! 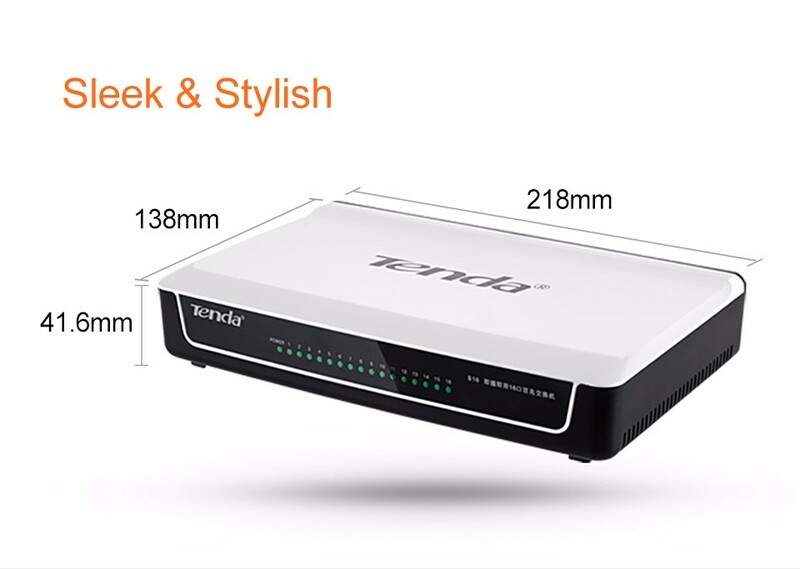 Purchase this product now and earn 116 Points! 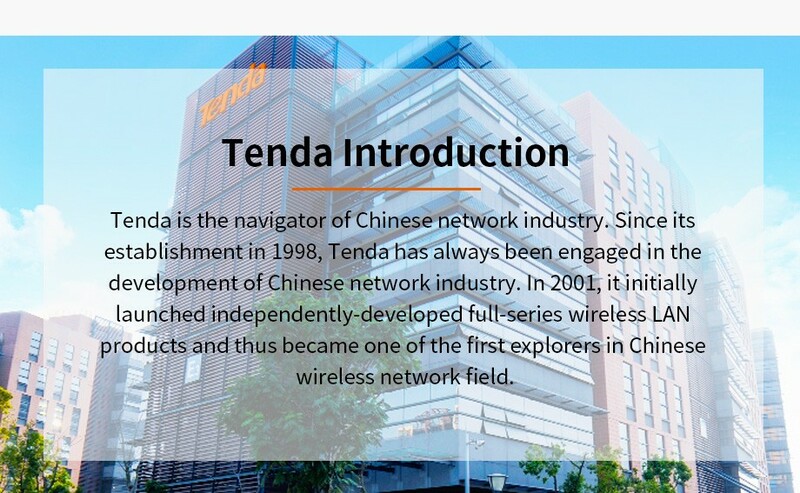 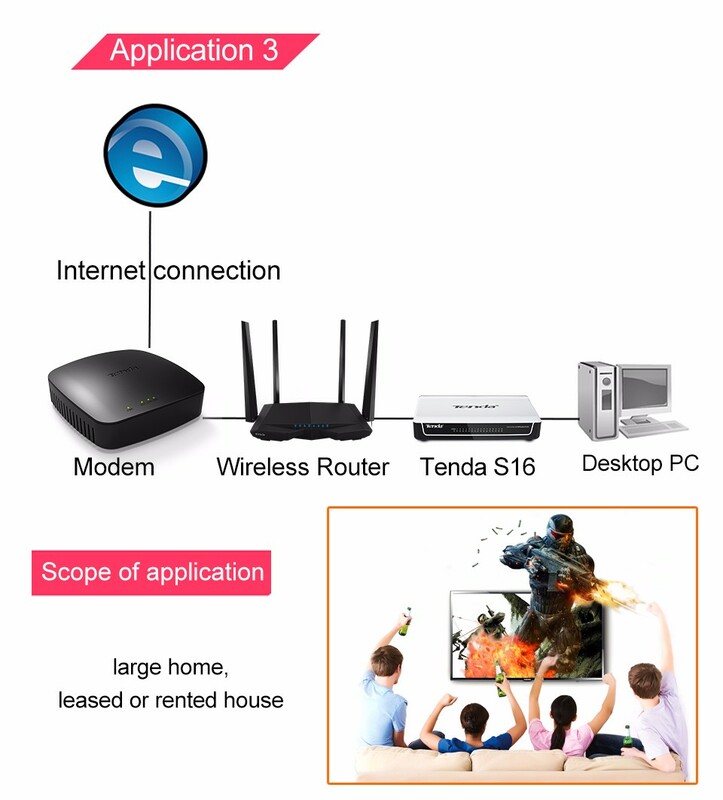 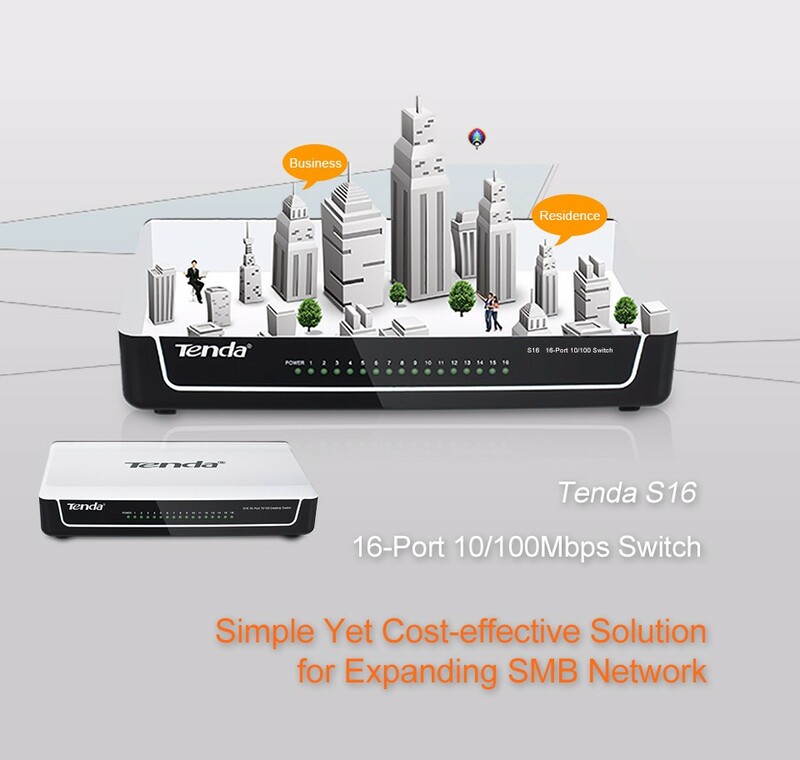 The Tenda S16 16-Port 10 / 100Mbps Switch provides simple and ideal solution to expand network for large home, building, leased or rented house and SMB. 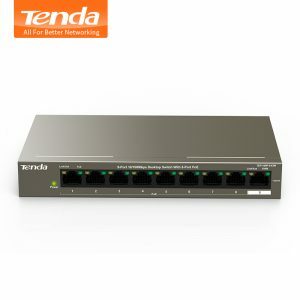 Connect this 16-port switch to a router and add up to fifteen additional computers or other Ethernet -based devices such as a printer, Network-Attached Storage (NAS), or Internet camera to increase the functionality of your network. 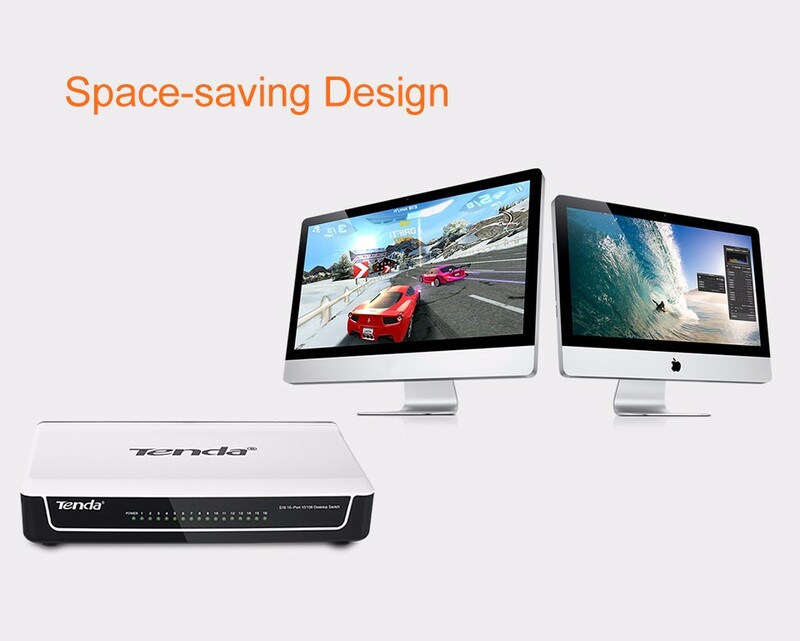 Housed in sturdy plastic case with compact size, it is ideal for desktop installation. 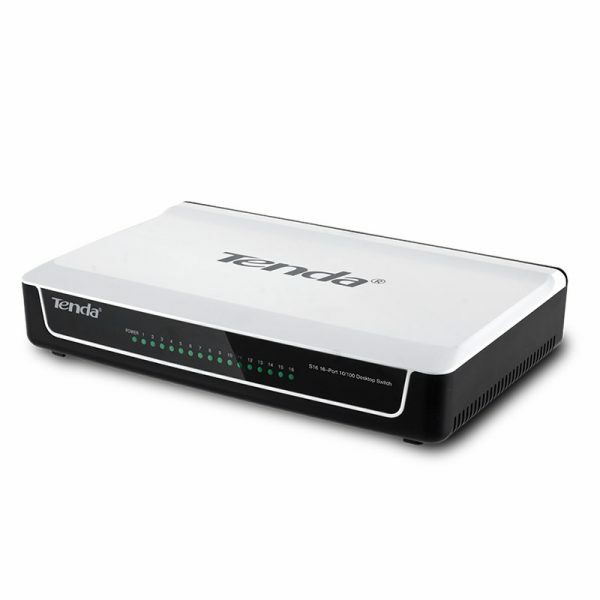 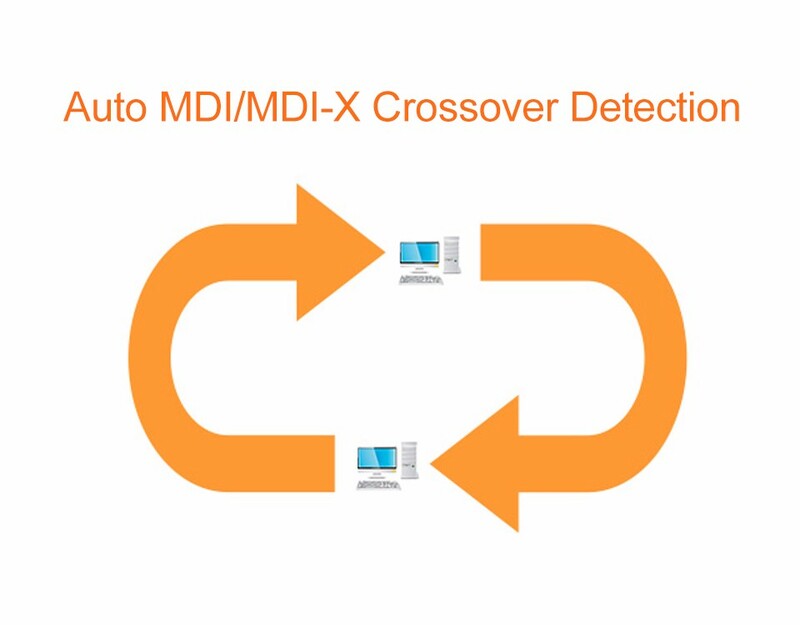 >> 16 Autosensing 10/100 Mbps switched ports with auto MDI / MDI-X crossover detection. 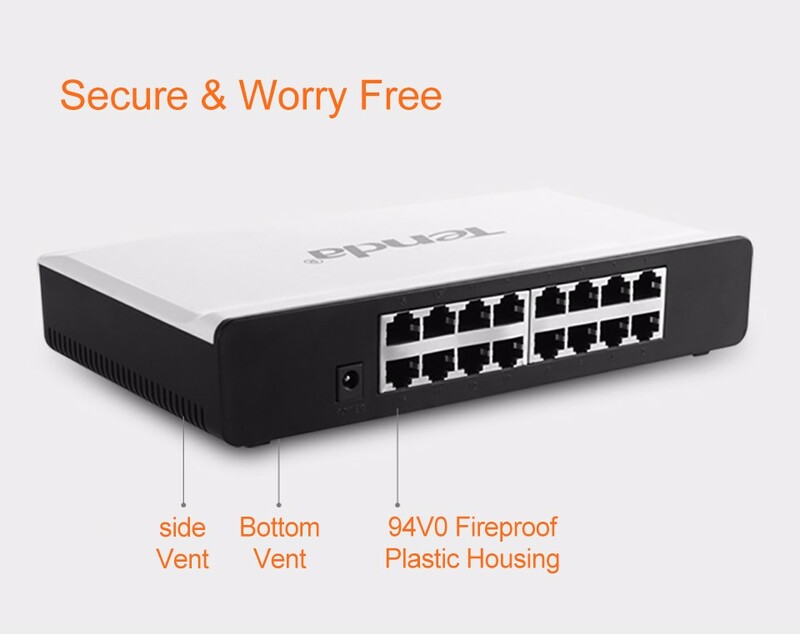 >> Up to 200 Mbps full duplex bandwidth on each port. 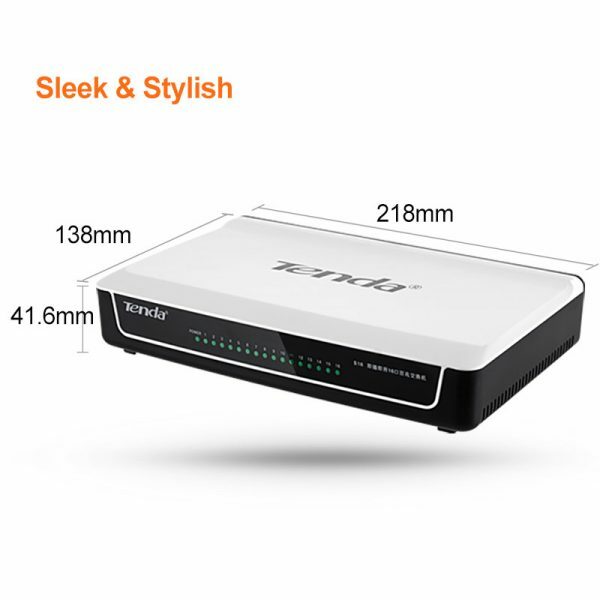 >> Compact size fits into any environment. 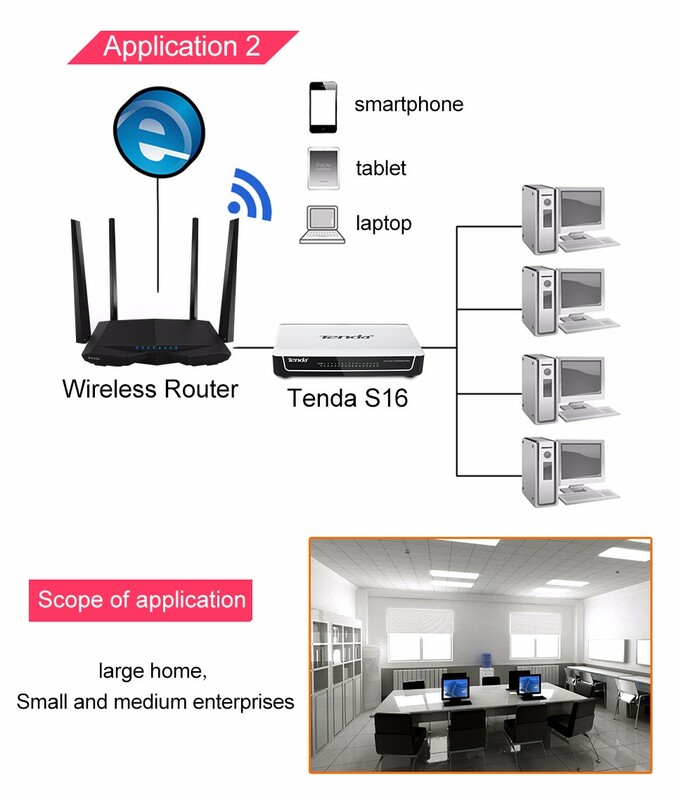 >> Address Learning and Aging, and Data Flow Control for enhanced transmission. 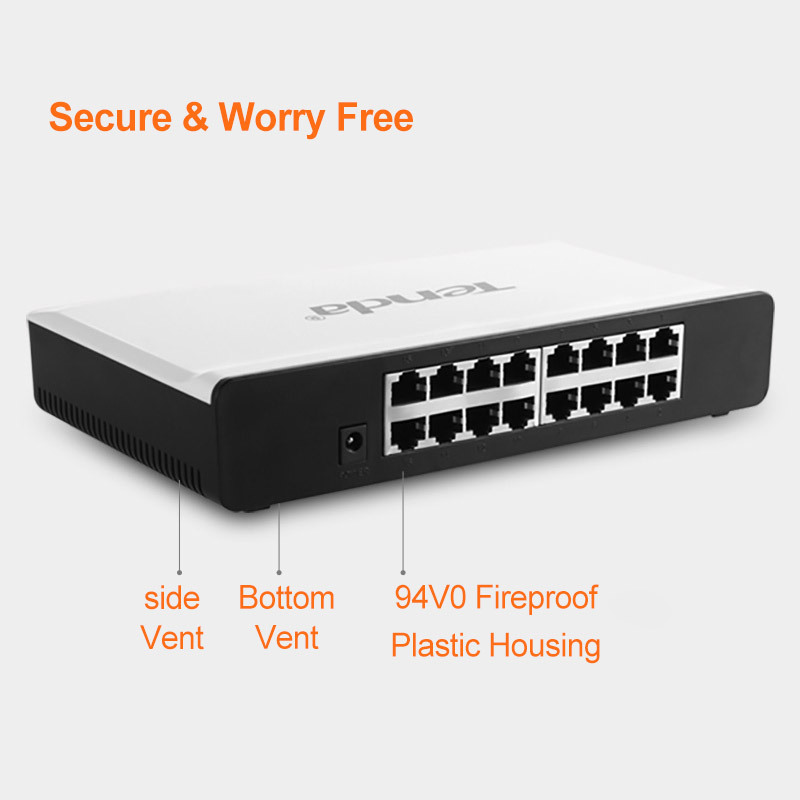 The switch is solidly built in small size that is easy to position on any flat surface with limited space. Housed in a sleek and stylish case, the switch blends in nicely with SOHO and SMB. 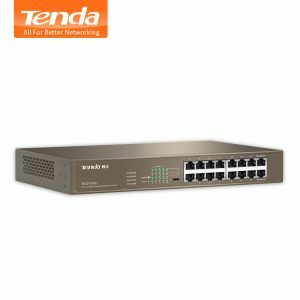 The switch is built with reduced heat and a longer product life without sacrificing performance or functionality in mind. 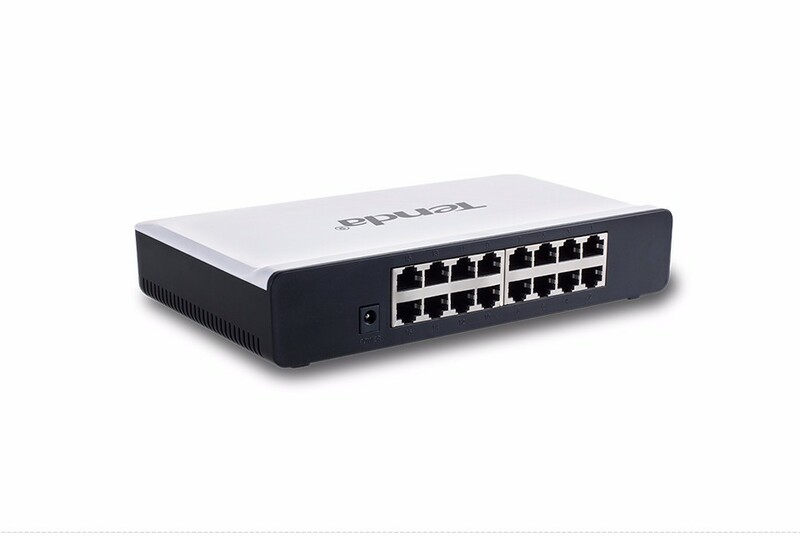 With superb heat dissipation capability and manufactured with fire proof materials, the switch sick optimum performance even in extreme environment. 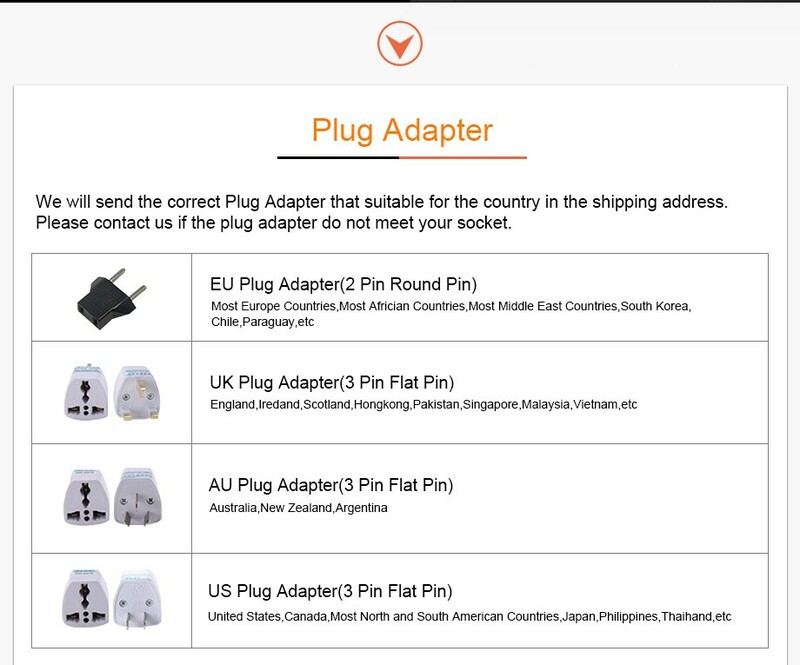 Each port on the switch automatically outs out the link needs a straight-through or cross-over connection, and make the right choice, eliminating the need for toggle switches or special crossover cables. 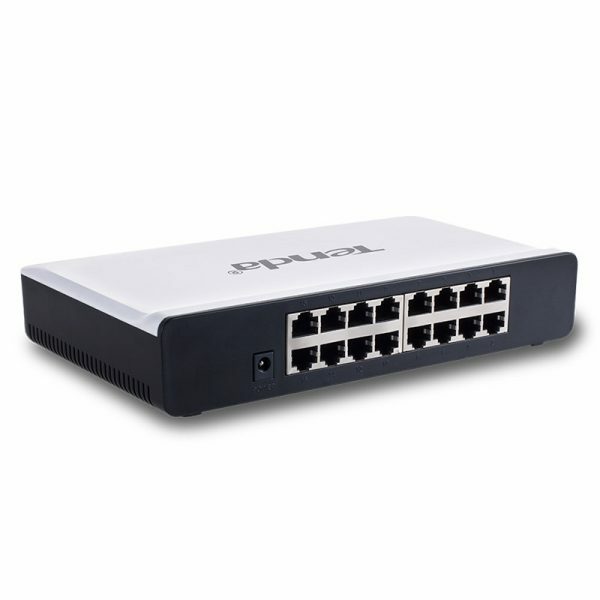 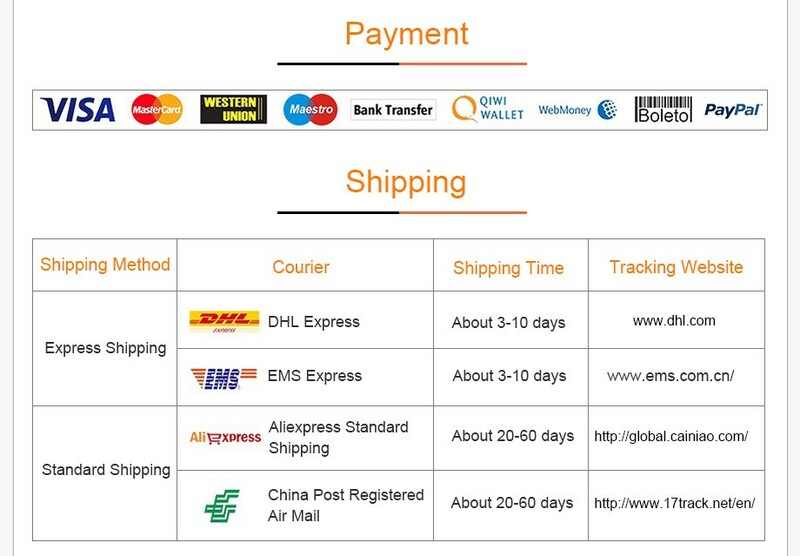 Plus, the switch adopting the store-and- Forwarding forwarding mode and auto-learns / -updates MAC addresses to improve your network performance.